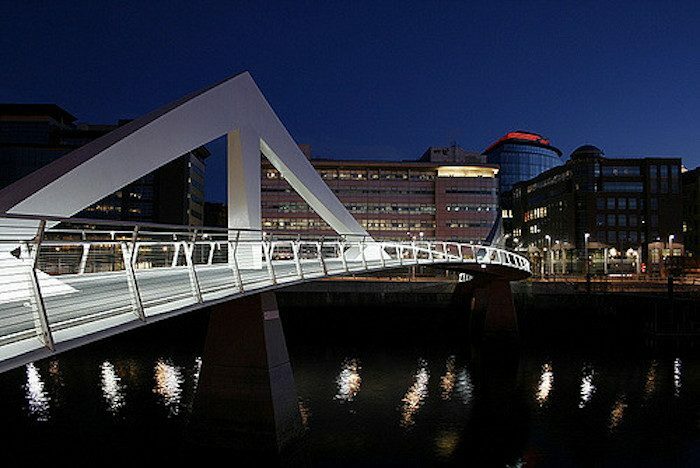 There’s just something invigorating about running over bridges, which is why we love this route that criss-crosses the River Clyde on some of Glasgow’s most interesting architectural feats. Start out by the Science Center and loop back and forth on the bridges there, then continue east on the Broomielaw. Cross Glasgow Bridge and turn right along Clyde Street. From there, cross to the south side along Gorbals Street and through Glasgow Green. When you arrive at King’s Bridge, cross back over the river and return. By the end of this run, you’ll feel like you know the River Clyde like the back of your hand! Our route is 7.4 km, but there are many options to vary the loop based by taking a different bridge. One of the great things about this run is that there’s never more than 1 km between bridges. Adding the Glasgow Green to this run is a good option. The Science Center is the extreme west end of the route, but you can start anywhere along the river. From the west, Exhibition Center is the closest station.